Last Call for Seasonal Deals! 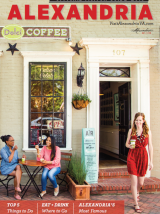 July 6, 2015 (Alexandria, VA) – Visit Alexandria today announced the dates for one of the most anticipated summer events in the city, where shoppers converge in Old Town and Del Ray to grab bargain basement seasonal deals. The 6th Annual Alexandria Summer Sidewalk Sale is set to take place on Saturday & Sunday, August 1-2, 2015. Known as a top destination for boutique shopping, over 50 Alexandria boutiques will offer deeply-discounted summer merchandise (up to 80% off) during this premier sidewalk sale event – bringing fantastic savings on quality items. The Sidewalk Sale is a chance to find incredible bargains and unique treasures from Alexandria’s acclaimed small business boutiques. Local retailers will display a wide range of goods from fashion and jewelry to home decor, culinary, seasonal and gift items at discounted prices. Examples of promotional sales include: up to 50% off home décor at Acme Mid-Century + Modern, up to 75% off designer shoes at The Shoe Hive & Bishop Boutique, Curated will offer up to 40% off jewelry, housewares and other gifts, and Dash’s of Old Town will offer 20-60% off men’s apparel. Children’s boutique 529 Consign will offer 50% off summer clothing, shoes and accessories, The Christmas Attic will be cleaning out the attic in preparation for the upcoming holiday season by offering 20-75% off, and Hooray for Books will offer 20-30% off books and merchandise. The Hour Cocktail Collection will have 25-75% off selected vintage and new items cocktail merchandise and popular clothing boutiques Hysteria and Sara Campbell will offer discounts on designer and private labels. In Del Ray, The Purple Goose will offer up to 50% off kids apparel and accessories. The City of Alexandria will provide free parking at City meters (Sat & Sun) in Old Town and Del Ray and DASH’s free King Street Trolley will start at 9AM (Saturday Only). Sidewalk Sale Swag Social Media Contest: Shoppers are invited to show off their sidewalk sale swag by posting their deals on social media. Individuals who post their finds on Instagram and Twitter with the hashtag #SidewalkSaleALX will be entered to win a gift certificate from one of these notable restaurants: Bastille, Society Fair, Bistrot Royal and Virtue Feed & Grain. The sidewalk sale is presented by Visit Alexandria, City of Alexandria, the Old Town Boutique District, DASH, and the Del Ray Business Association. For a complete list of all participating businesses visit: VisitAlexVA.com/SidewalkSale. If there is inclement weather, sidewalk sale tables and merchandise will be brought inside.